During the 13th century when Genghiz Khan and his armies were plundering the cities of Khorasan, Pashtun tribes took refuge from the Mongol conquests in the mountains surrounding their land and remained there until the armies of Tamerlane departed. From Kunar as far as Swat, in the dales and valleys of Pakhtunkhwa (land of the Pashtuns), there lived a number of chieftains who have not been mentioned in the annals of history of this land before. Starting from the Kunar valleys and the mountain ranges as far as Swat and Bajawar including Pakhali, Samsura Shutur, Bala Kot and Gharie were ruled by by once unknown chieftains. According to the historian, al-Biruni, the vast valleys of Gharie which start from Kaghan valley was also ruled by Pashtun chiefs. From this we conclude that the eastern borders of their land extended as far as the area where Jehlum river originates. In the 14th century a dynasty ruled over this land whose title of honor was “Sultan”. The nucleus of its power was the valley of Panj in Kunar. Local legends say that the members of this dynasty were the ancestors of Zul Karnein. Two brothers were the famous rulers of this dynasty—Sultan Pakhel and Sultan Bahram. They were the sons of Sultan Kohjaman Hindu. Sultan Pakhel is believed to have ruled over an area extending from Laghman to Kunar, Bajawar, Swat and as far as Kashmir. The region was named after him and in the Kunar valley his writings still exist. After his death it is believed that a major battle was fought between his sons. 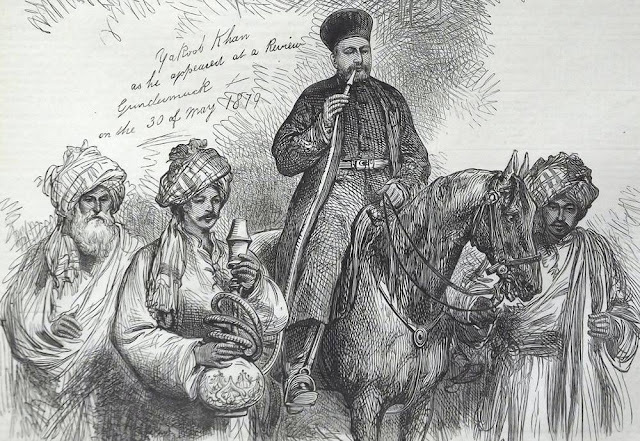 Sultan Bahram resumed power over Laghman and Nangarhar and expelled his enemies to Peshawar. He made Papin in Spinghar his ruling center. He conquered lands as far as Kashmir once again and spread his sultanate all the way to Kabul to the west. After Bahram’s death, Sultan Tomna took over the sultanate, ruling from Shinwar to Kashmir. He is said to have also ruled over the region known as Hazara situated along the bank of the Indus river. At this time the Pashtuns were migrating from the south by way of Kandahar and Kabul. The Kand and Zamand tribes moved to this land through Kandahar, Arghasan, Kabul and Peshawar under the leadership of Madad, Mado and Sheikh Osman. In the 15th century when Mirza Alug Beg the son of Abu Sayed Korgan was the sultan of Kabul he got together the leaders of the Pashtun tribes and massacred them, but the nephew of Sultan Shah Yusfuzai, Malik Ahmad, escaped death by taking asylum in Laghman. There he settled with the Tarakalai tribes. At this time war broke between the Yusfuzai and Mohmandzai tribes. The Mohmandzai took control of Nangarhar and the Yusufzai migrated to Bajawar, Bunir and Swat. This tribe conquered the Lazak tribe, driving them out of their land and killing Jelaw, their chief of the Shelman tribe, hence occupying the area from Nawakei to Arhand in Bajawar and bringing it under the control of the Yusufzai. The Yusufzai took control of many hamlets and engaged in farming the land. During this time they had two leaders, Malik Ahmad was their political and military commander who riled all the aforementioned areas. Their spiritual and social leader was Sheikh Adam, famous as Sheikh Mawlawi, who was Sarabani by blood. The distribution of lands which fell into the hands of this immigrant tribe created difficulties, but since they were living in tranquility and equality the tribe did not haggle over the distribution of land. The reason for the peaceful existence of these belligerent Pashtuns was the wise leadership of their spiritual leader who divided the land, the water for irrigation and the pastures justly according to the number of family members. The first division was valid for 10 years and after that the land was redistributed according the the change in the demographics of each family. Sheikh Mawlawi wrote a book on the social system and distribution of the land which was called “Da Sheikh Mawlawi Daftar” (Records of Sheikh Mawlawi). This social system was used until the time the British introduced a system called “Band and Bast” (Ligature and Bonds) introducing possession of land and imposed land taxes under their system. After the death of Sheikh Mawlawi, Kajo Khan Ranizai became the leader of the Yusufzai tribe in the 16th century. Completing the records of Sheikh Mawlwali he wrote a book in which the system of Mawlawi was followed in earnest. Khajo Khan had an army of 10,000 horsemen. He defeated the Ghoriakhel tribe in the battlefield of Sheikh Pato. Later on in Langarkot he defeated the local satrap extending his empire from Peshawar through Swat and Mardan. When emperor Babur began his conquest of the Indian sub-continent, the chieftains of this area were Mansur, the son of Malik Suleiman and Sultan Awais Swati, who are mentioned in Tazk-e Babur. Also mentioned in this book are two other leaders, Alauddin Swati and Taous Khan, who ruled under Babur’s authority, the tribes living in the valleys of Bajawar and Bara Kunar. Babur also married the daughter of Shah Mansur, Bebe Mubaraka, in order to have family ties with the Pashtuns and in this way unite with his domains.